It has definitely been a challenging development project to get the graphical Planning Board finalized, but now it is finally here! The Planning Board supports centralized dispatching of work orders through a highly intuitive user interface that supports drag'n drop on for instance iPads, Androids and Surface devices. The Planning Board is completely scalable so using a PC with a huge monitor will give a grand overview of the plan for larger groups of employees. Show all electricians at the Muscatine location and filter the list of pending work orders to those marked as critical. Show all work orders overdue at all locations. The Planning Board always shows the remaining capacity for the individual workers and will hi-light if a worker is overbooked, either for the entire planning period or for a single day. The Planning Board operates in draft mode until you are satisfied with the plan made. Then simply hit Save and the work orders will be dispatched. If planning and dispatching of work orders is a centralized discipline at your organization, then the Planning Board is the ideal solution. 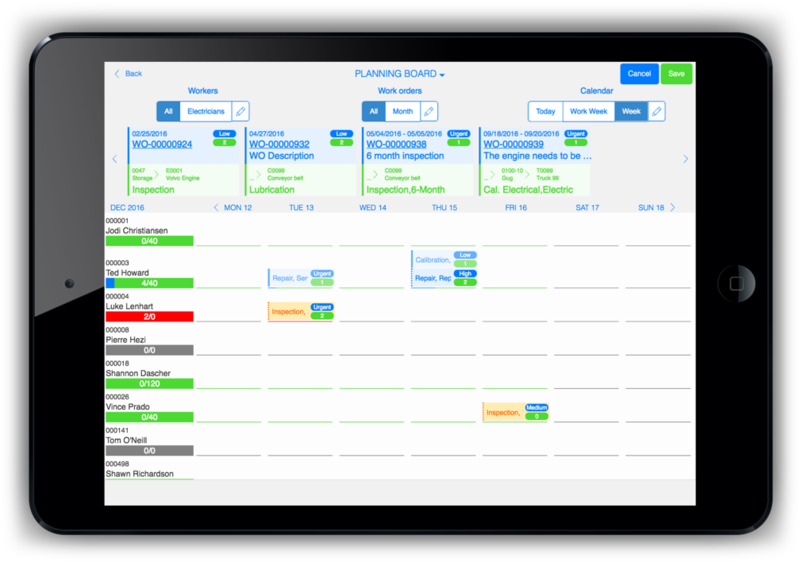 If your organization have self organizing teams where the individual workers do their own planning then the Kanban board is ideal. Exciting news: New addition to the Dynaway team! It is a great pleasure to announce that Kristoffer Bohmann has joined Dynaway Team!